Mahashivratri 2015: Why Is Milk So Auspicious? Mahashivratri is an auspicious Hindu festival celebrated across the country. According to the holy Hindu calendar, the festival is celebrated on the 13th night and the 14th day of the month of Phalguna or Maagh. The day marks the celebration of the wedding ceremony of Lord Shiva and Devi Parvati. 'Shivratri' translates to 'Lord Shiva's night' when, it is believed, he performed 'Tandava'. Tandava is understood as a divine dance form performed by Lord Shiva which depicts the cycle of the creation, conservation and destruction of the universe. According to mythology, Lord Shiva is known as the destroyer, soothing ingredients like milk and honey are offered to calm him. Many associate the day with the grand event of ocean churning (samudra manthan) between Hindu Gods and the demons. 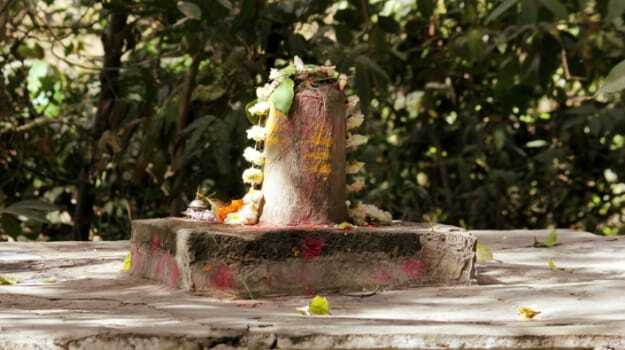 As a result, a pot full of venom (kalakootam) came out of the churn, which was swallowed by Lord Shiva in order to save the world from an imminent destruction. It is believed that Lord Shiva did not consume the venom, but held it in his throat, hence his popular name, Neelkantha - the one with a blue throat! Many Hindu saints believe that the venom had warm properties. Honey, milk, curd, coconut water and other soothing agents are therefore extremely dear to lord Shiva. On this day, devotees from across the country can be seen thronging around the shivaling, offering milk, honey, curd, sandalwood, white flowers, bel patra,dhatura fruit and vermilion to the idol. They observe fasts to seek blessings from Lord Shiva and to free themselves from all their sins. In north India, people take holy dips in the Ganges and attend prayer meetings at Shiv mandir. Since the day marks the wedding day of Shiv and Parvati, it holds special significance for married women. Women fast for the entire day and worship Gauri-Shankar to pray for their husbands and their longevity. They also seek blessings for their happy married life. While some may fast in the name of God, others choose to remember his name and revere by all means. Devotion is true, pure and indomitable in all sense. Celebrating the same indomitable spirit of devotion, we wish one and all, Happy Mahashivratri!